When Nate and Sheri Airhart purchased the Maple Leaf Motel and RV Campground Resort in 2013 from its original owners, they fully renovated the rooms, made extensive improvements to the landscaping, and did many upgrades inside and out. The only thing remaining was the website. It was distinctly ‘dated’, containing photos of the motel and ground from before the upgrades. It was also not mobile-friendly, which was a primary concern, as they wanted to be able to attract drive-by customers during the slower winter months. They now have a bright new website – easy to navigate, informative, and mobile-friendly. Michele does fabulous work. 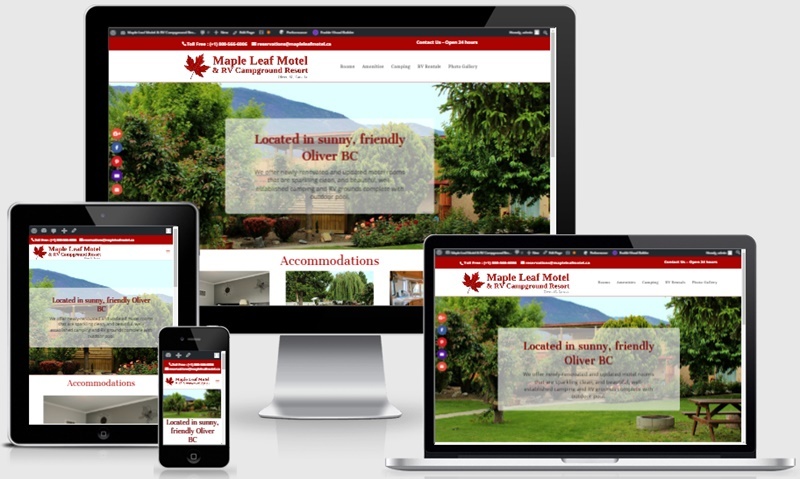 She took the time to get to know our business; it was a first for her to do a motel and RV resort website but you would never know it. Awesome job on our new web page. I would highly recommend her.